SuperKlean Model 3600M-B-T hot and cold water mixing unit was specifically designed for thoroughly blending hot and cold water instantly by mixing supplied hot water with cold water to achieve required temperature output. The unit uses “Y” style body mechanics with lift check valves and ball joint unions for superior flexibility during installation. SuperKlean’s inlet center lines have the same dimensions as most of our competitors’ units. 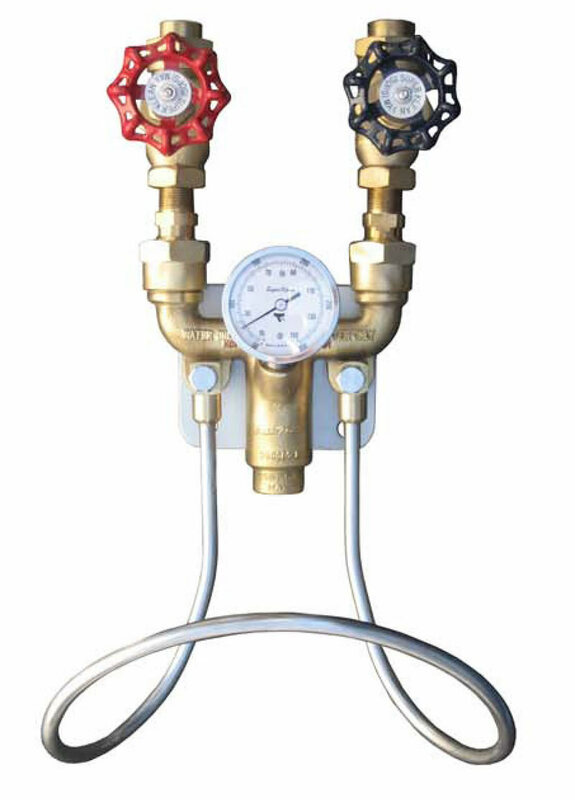 Our units come with a mounting plate for easy behind the unit cleanup, hose rack for easy user access to the hose, and an optional temperature gauge for accurate temperature readings at outlet.